"Burn it to the ground!" is what her contractor bother said in 1992 when Colleen Froehlich purchased an old empty building on North Elm Street in Three Oaks. For the next two years, she spent day and night restoring it, shaping it to fit her vision. By the following spring, bountiful display cases filled with homemade artisan breads, jams and preserves glowed in the sunlight. Beautiful housewares lined the shelves. 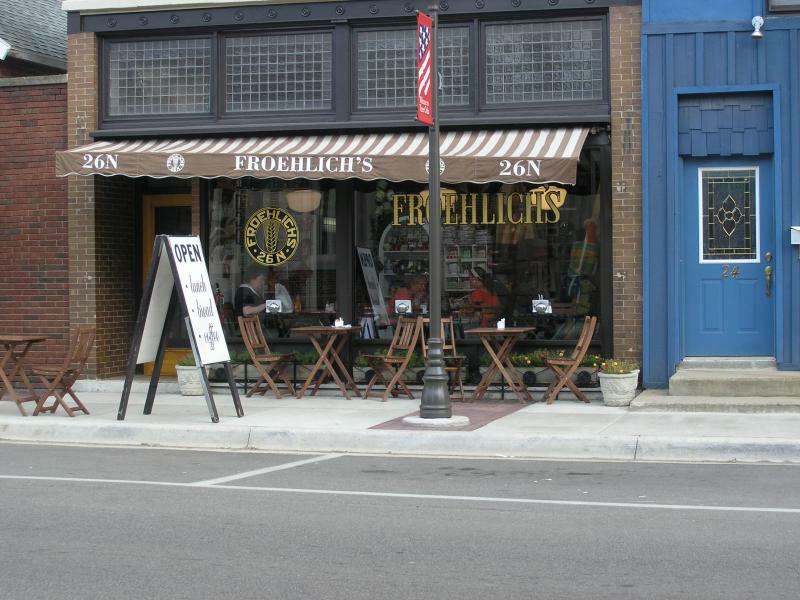 The vintage neon sign that hung in her grandfather's grocery story was turned on and Froehlich's was open for business.